OMG like, did you hear that Facebook is gonna like, start charging for your privacy and stuff? That would be sooooooooo non-fetch. Well, good thing it's a hoax. Also, Google somehow managed to let some random dude buy Google.com for about 10 whole minutes. Oh, and the Guru answers your tech questions. 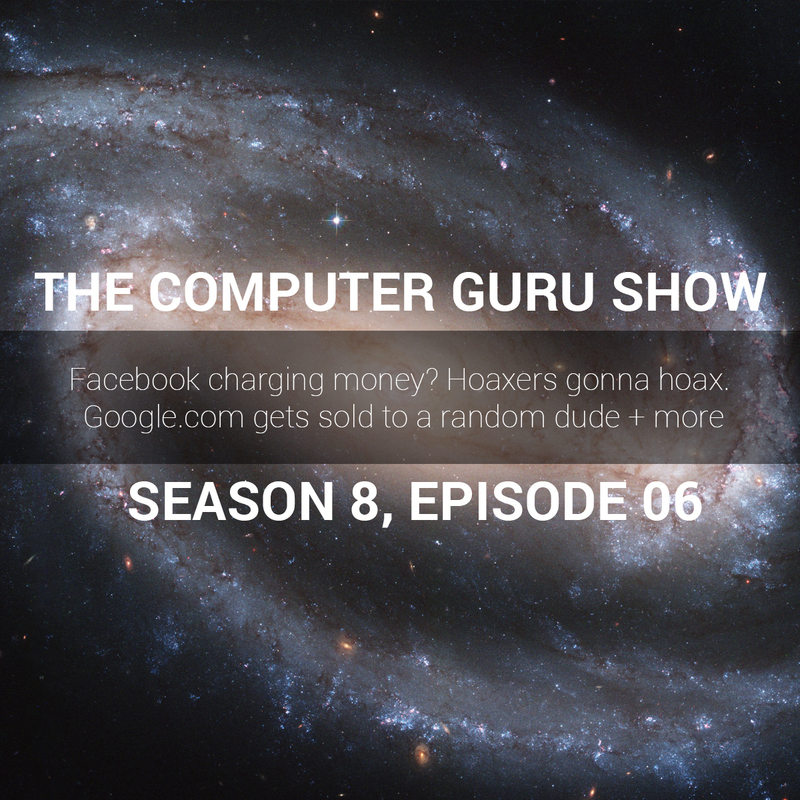 All this and more on this week's Computer Guru show.